Development of the fourth edition of the ECMAScript standard was never completed. The fifth edition was released in December 2009. 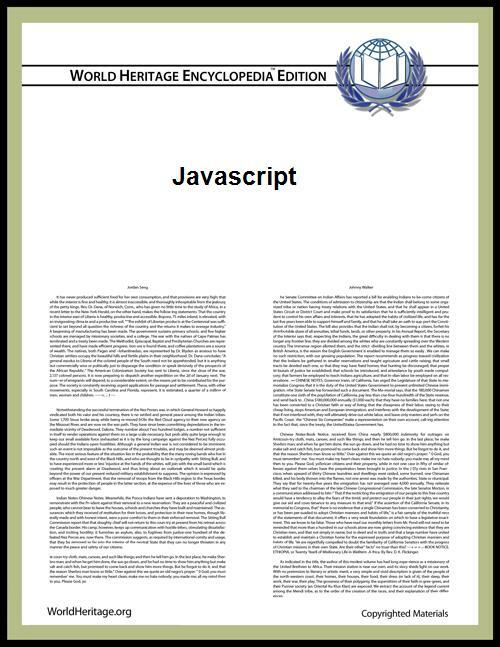 The current edition of the ECMAScript standard is 5.1, released in June 2011. An indefinite number of parameters can be passed to a function. The function can access them through formal parameters and also through the local arguments object. Variadic functions can also be created by using the apply method. Note the comments in the example above, both of which were preceded with two forward slashes. ... indeed, there are no provisions in this specification for input of external data or output of computed results. Variadic function demonstration (arguments is a special variable). Immediately-invoked function expressions allow functions to pass around variables under their own closures. Often the process of making a complex web page as accessible as possible becomes a nontrivial problem where issues become matters of debate and opinion, and where compromises are necessary in the end. However, user agents and assistive technologies are constantly evolving and new guidelines and relevant information are continually being published on the web. ECMAScript was included in the VRML97 standard for scripting nodes of VRML scene description files. Opera includes a set of tools called Dragonfly. Node.js has node-inspector, an interactive debugger that integrates with the Blink DevTools, available in Google Chrome. The following table is based on information from multiple sources. Bugs may never be detected due to host code never being exercised. Bugs may not be detected due to unreachable host code. Bugs may not be detected due to not meeting governing business rules, even though technically correctly typed. Criticism based on loose typing then cautions programmers to be aware of the need for greater programmer discipline and project schedule impact because both detected and undetected bugs increase production time at unpredictable rates. Kotlin, a statically-typed language that also compiles to Java byte code. ^ "RFC 4329". Apps.ietf.org. Retrieved 2013-05-26. ^ a b Flanagan & Ferguson 2006, p. 1. ^ "ECMAScript Language Overview" (PDF). 2007-10-23. p. 4. Retrieved 2009-05-03. ^ "Programming languages used on the Internet and the World Wide Web (WWW)". Webdevelopersnotes.com. Retrieved 2009-05-19. ^ "The History of Programming Languages - O'Reilly Media". Oreilly.com. Retrieved 2014-04-13. ^ "Brent Noorda's Answers on ECMA". Quora. Retrieved 2014-04-13. ^ "History of Nombas". Brent-noorda.com. 2010-06-24. Retrieved 2014-04-13. ^ Mike Morgan (1996). "Using Netscape™ LiveWire™, Special Edition". Que. ^ "Node's goal is to provide an easy way to build scalable network programs". About Node.js. Joyent. ^ "ECMAScript 3rd Edition specification" (PDF). Retrieved 2013-05-26. ^ "Documentation". ECMAScript. Retrieved 2014-04-13. ^ "Standard ECMA-262" (PDF). Retrieved 2013-05-26. ^ Flanagan & Ferguson 2006, p. 16. ^ Flanagan & Ferguson 2006, pp. 176–178. ^ Flanagan & Ferguson 2006, p. 141. ^ "Inheritance and the prototype chain". Mozilla Developer Network. ^ CocktailJS - ANNOTATIONS. TRAITS. TALENTS., April 2013. ^ "E4X - Archive of obsolete content | MDN". Mozilla Developer Network. Mozilla Foundation. Feb 14, 2014. Retrieved 13 July 2014. ^ "MDN - About this Reference". Developer.mozilla.org. 2008-08-31. Retrieved 2009-05-19. ^ "ECMAScript Language Specification - ECMA-262 Edition 5.1". ^ "console". Mozilla Developer Network. ^ "arguments". Mozilla Developer Network. ^ a b c Flanagan & Ferguson 2006, pp. 262–263. ^ "Right-click "protection"? Forget about it". 2008-06-17. ^ "Unity Scripting". unity3d.com. Retrieved 2013-01-29. ^ "ChatZilla! Frequently Asked Questions - 4.5. How do I write scripts?". Chatzilla.hacksrus.com. Retrieved 11 February 2011. ^ "http://unborn.ludost.net/xcdscript/". Retrieved 11 February 2011. ^ Flanagan & Ferguson 2006, pp. 214 et seq. ^ "Behind the Scenes with Owen Taylor". The GNOME Journal. Retrieved 2010-01-23. ^ """Answering the question: "How do I develop an app for GNOME?. ^ Category: Project's basics (2013-05-22). "myNFC.org". myNFC.org. Retrieved 2013-05-26. ^ "Debugging with Node Inspector". http://docs.strongloop.com/. Retrieved 2014-05-07. ^ "Introducing Drosera - Surfin' Safari". Webkit.org. 2006-06-28. Retrieved 2009-05-19. ^ "Version Information (JScript)". Msdn.microsoft.com. Retrieved 2009-12-17. McFarlane, Nigel (2003). Rapid Application Development with Mozilla. Prentice Hall Professional Technical References.